for $159,900 with 3 bedrooms and 2 full baths. This 1,358 square foot home was built in 1938. MURRAY HILL - LOCATION LOCATION LOCATION! Charming 3/2 home with classic front porch renovated with NEW ROOF in 2013. Hardwood floors, crown molding, fully equipped kitchen and baths featuring granite counters & travertine tile floors. Indoor laundry and lots of closet space! 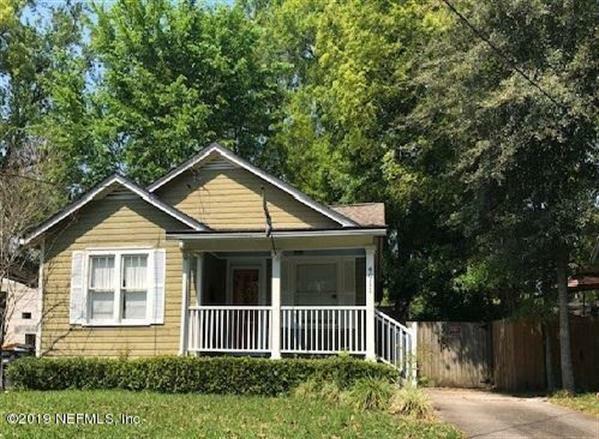 Exceptional Murray Hill district location, close to downtown, NAS Jax, I-10 and the historic Riverside and Avondale area's entertainment, food and shops. Priced to move quickly!